We had a very successful recruitment drive this Spring, we have now grown our team by 6 more employees! 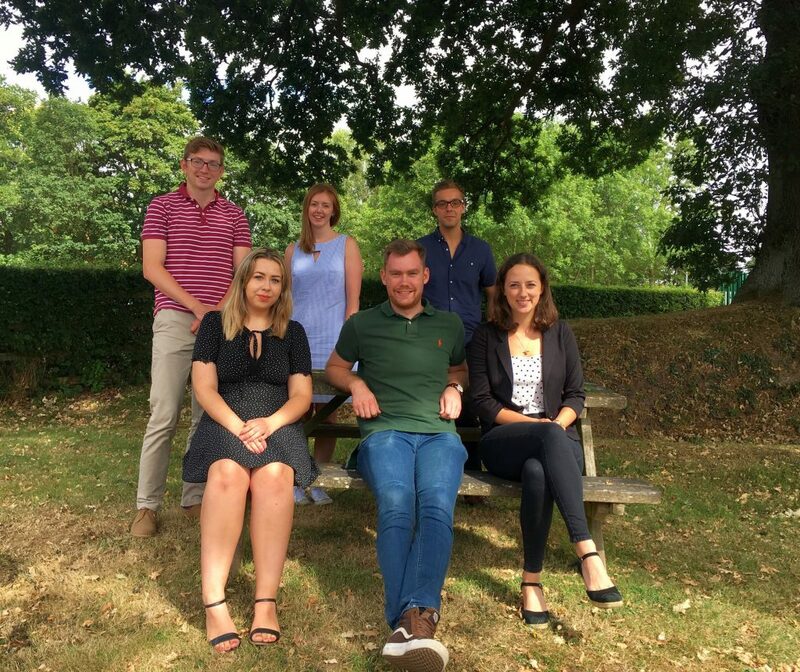 Edward Brown (Top Left), Charlotte Dutton (Top Middle), Edward Ettling (Top Right) and Ben Westall (Bottom Middle) have all joined us a Graduate Sustainability Consultants and have just completed their 3-week intensive training with Ross. They will now be mentored by members of the team for the next 18 weeks whilst they complete design stage SAP calculations. Danni-Marie Chant (Bottom left) joined us in June as a Technical Administrator, providing support to the consultant team in the production of Energy Performance Certificates (EPCs). Yasmin Spain (Bottom Right), our newest recruit who started yesterday, has relocated from London to join us as an experienced BREEAM Consultant. I am sure you will all join me in welcoming our newest employees. Keep an eye on our careers page if you would like the opportunity to join our growing team. You may be aware that there is some discussion in the industry relating to an update to the energy assessment procedure for residential developments, generally referred to as SAP10, or SAP2018. It’s important to note that until the final document is published – which we expect to be sometime this summer – we only have the government response to the SAP consultation to guide us as to what this may look like. Following this, a consultation on changes to Part L itself can be expected towards the end of the year, which may introduce further and potentially more wide-ranging changes to be adopted in 2019. At this stage, it appears there will be a number of minor technical amendments to SAP, as well as some more substantial changes which could have an impact on your current strategy for Part L1A 2013 compliance. Changes to carbon emissions factors, the most significant of which is a reduction in the emissions from electricity of around 23%, to reflect progress that has been made in decarbonising the National Grid. This is likely to make electric heating systems more viable, however conversely would reduce the benefit from PV systems currently used to meet carbon reduction targets, leading to larger systems being required. Changes to the assessment of thermal bridging, to remove the use of the ‘approved’ values associated with using Accredited Construction Details (ACDs) and worsen the default values. For many clients, we already mitigate this impact through ensuring that all your main building junctions are thermally modelled. We can calculate these on a one-off basis, or build a full library based on your standard detailing to use on future projects. A more accurate assessment of hot water consumption would require us to account for the energy consumption and emissions from electric showers – which are overlooked in the current methodology – as well as more accurately reflect the design flow rates. AES are involved with various industry groups which guide and discuss this area of the Building Regulations, so we’re keeping abreast of developments and will provide an update when we have more definitive news. There may also be other changes in the future relating to compliance and enforcement, which are expected to now be on the agenda following the conclusion of the Hackitt Review – again, you’ll know when we know. Please get in touch if you’d like to discuss any of the above, or anything you’ve heard on the grapevine in relation to the changes. As soon as any final documentation is published, the team at AES will analyse the impacts and publish a further newsletter to advise you of any implications. As always, we will work with you to find value-engineered solutions that work for your business.